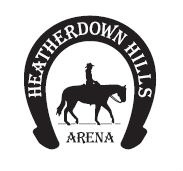 Heatherdown Hills Arena is a beautiful boarding facility located 10 miles NW of Stony Plain Alberta. It features an 80' x 204' indoor heated riding arena. There is also a 126' x 248' outdoor riding arena. Attached to the indoor riding arena is a heated barn with 25 box stalls, 5 tie stalls and a wash bay.